Sammy Sosa has made headlines this week with the revealing of his new appearance. The former Chicago Cubs baseball player now has a noticeably lighter skin tone. He admits to using skin cream. 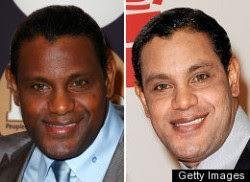 Sosa stated he used the cream to treat the aging of his skin, and in turn his complexion lightened. He is surprised by the attention the photo of him at the Latin awards his sparked. He claims he is NOT trying to resemble Michael Jackson and is not suffering from any skin disease. Sosa was also photoed with colored contacts, which he states he was wearing just "to try something different". He insists he is not a racist but a very happy man. Sosa admits that the rest of his body is not as lightly colored, which would only be right if he only applied the cream to his face. In a turn of events, Sosa is reportedly set to endorse the cream, which is of European origin. You would only endorse a product if you are happy with its results, right? Sosa contributed the color change to exposure to sun light and light from camera flashes. This would insists that the use of the cream was not intended for skin discoloration. The cream was originally used to soften aging skin, to make it appear younger and fresher. If a cream did that, plus changed the complexion of your skin without your desire for it to change, what would you do? Endorse or Sue? Sosa has not released the name of the product, but if he endorses it the name of the cream and its purpose will soon come to light. What do you think about people changing the complexion of their skin? Among all the physical alterations one can now afford to physically change about themselves, is there a difference between those and skin color alteration? Share your thoughts on Sosa and drastically altering your physical appearance. This week's Turn it up Tuesday artists made headlines last week for interviews speaking out on their domestic violence situation. Rihanna spoke about the altercation to the press for the first time during a two part interview on 20/20. In the interview she spoke about how she felt when the photo of her leaked after her altercation with Chris Brown. She spoke about how she felt towards him before, after, and now. Although she states she currently does not have any interests in being with Chris, she admits she can not tell the future and say she will NEVER be with him again. I applaud Rihanna for breaking her silence, regardless of what she said and how we as fans feel, at least she spoke out AGAINST domestic violence situations. Below is a single supposedly from her up and coming album "Rated R". The track is entitled "Hard" and features Jeezy. The lyrics display the same mood as "Diva" by Beyonce. Rihanna sings about being the "baddest b*tch in heels", and insists that no one can take her crown. I apologize that you can not play the song directly on the site, but if you click the below link you can listen, as well as download the track. Next is a track leaked of Chris Brown. I am uncertain if this will be on his next album "Graffiti". Brown has released a couple of statements in response to Rihanna's interview. He expresses his belief in the details of the matter remaining private. Both He and Rihanna wished each other much success in their music careers and in life. The below track is entitled "Crawl", which supposedly reflects his feelings for Rihanna and a wishfulness to get back together with her. I think the song is beautiful and think the fans would like to hear what both Brown and Rihanna will have to say in their new albums. 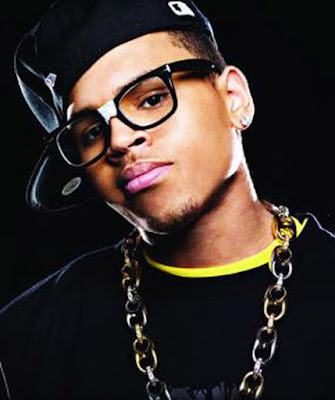 Rihanna has already stated some tracks reflect how she felt through the entire ordeal, and from the sounds of this track, Brown put his feelings to music too. Take a listen for yourself by clicking the below music player. Stay tuned each Tuesday for new music not in normal rotation on your local radio stations, and to get a little info about the artists releasing the music. "For years we've been told that it can't be done. But last night the House proved different." President Obama made the above statement today, in regards to the house's passing of legislation on November 7, 2009. This health care reform allows for more government control over the health care system. In order to easier understand how you may be affected by the health care reform, I have comprised a list of some of its key features below. The legislation barely passed in the house 220-215 votes. This is a triumphant win for the House of Representatives, especially House Speaker, Nancy Pelosi (A WOMAN). The legislation now has to pass in the Senate, which is facing extreme opposition, before actually becoming a law if signed by President Obama. Republicans believe this new reform will lead to big tax increases, raise the rate of insurance and will cost Americans jobs. However, the Senate has not come together to create their version of a health care reform. This win comes big for President Obama who has gotten criticism for the push of the new legislation. But, hold your horses, this thing still has to get a majority vote in the Senate. Keep your ears open to the debate. On November 7, 2009 Allen Iverson was granted permission to leave the Memphis Grizzlies basketball team to take care of "personal matters". This request came shortly after Iverson finally made his seasonal debut on court with the Memphis Grizzlies. Iverson made it apparent that he was not happy playing coming off the bench and he was not happy with the amount of playing time he received. 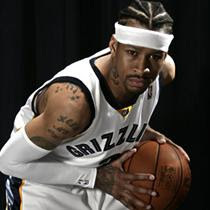 However, Iverson injured himself during a basketball scrimmage pre-season and missed a few of the Grizzlies opening season games. After playing just three games, Iverson is now taking a leave of absence. Should a player, All-Star or not, immediately start a game as soon as he/she is giving the okay to play the game? How long should it take for a new player to adjust to a team before taking a starting position? "It's something that I never did in my life, so obviously it's a big adjustment," spoke Iverson, on coming off the bench. "That while all this is going on, we have never talked to each other. That's probably why it's at this point right now. We've just never had a conversation, so it's probably going to always be hard for me and him to see eye-to-eye, because we've never even talked to each other. Obviously that's what you do if you're trying to accomplish the same goal." Why didn't they ever talk? If Iverson found this was an issue, did they attempt to talk it out before he walked it out? However, Hollins, insist that Iverson's leave did not have anything to do with the team issues he expressed. Hollins granted Iverson permission solely on what he believes is a family issue that Iverson needed to address.